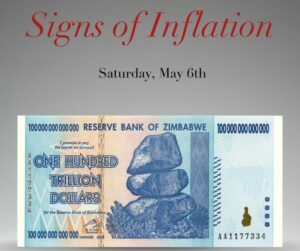 "Signs of Inflation" will look at how inflation translates into coinage and large denomination banknotes. 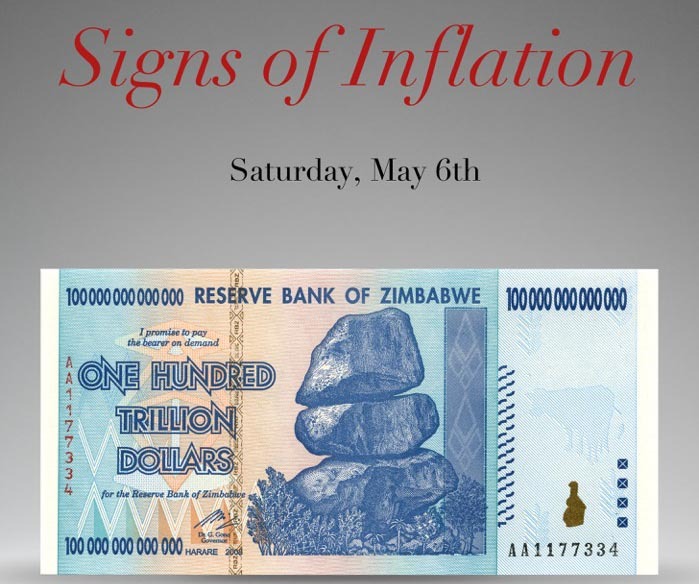 The lecture will cover the effects of inflation on coins and banknotes from ancient Rome to modern Zimbabwe. Saturday, May 6, 2017, at 1:00 pm. American Numismatic Society. Lunch served at 1:00 pm, followed by the lecture at 2:00 pm, Q&A at 3:00 pm. The ANS will remain open from 12 noon until 4:00 pm.